One of the loveliest of the state’s many native floral offerings, cherry blossoms are a not only a colorful and fragrant harbinger of spring but also represent the U.S.A.’s ongoing alliance with the country of Japan and Asian cultural traditions. The Northern California Cherry Blossom Festival was created in 1968 to honor this partnership and has since become one of California’s most famous celebrations, as well as the largest such festival on the West Coast. 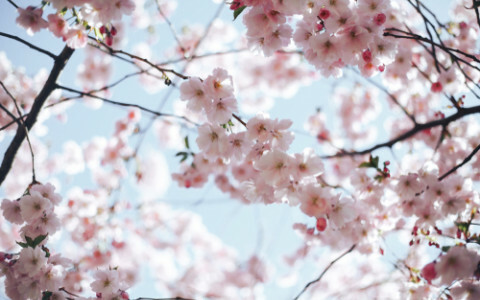 In 2019, the 52nd Annual Northern California Cherry Blossom Festival will take place on April 13-21 in San Francisco’s Japantown. Don’t miss the festival’s Grand Parade, featuring Co-Grand Marshals: Mayor London N. Breed and Marié Digby. Experience Japanese classical (Buyo) and folk dance (Minyo) performances throughout the parade route. Additional activities include origami and flower-arranging exhibits and demonstrations, tea ceremonies, fashion shows, live music, Cosplay on the Catwalk, and more, including an exciting scavenger hunt to help you discover the treasures of Japantown. Mark the date, and make your plans now to join hundreds of thousands of attendees at this free event honoring Japanese and Japanese-American culture. 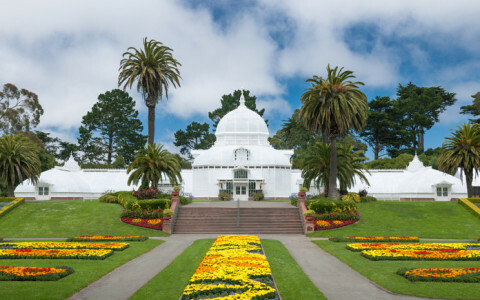 For a genuinely memorable and exotic experience, the San Francisco Conservatory of Flowers is the place to go. Inhale (if you dare) the reek of the Corpse Flower blooms from Sumatra, get a close up view of the tiny “dragon faces” on the Dracula Orchids from South America, and, for a much more pleasant olfactory experience, sniff the White Ginger Lily, whose fragrant and delicate flowers resemble butterflies, or Mariposa, as it is known in Cuba, where it is the national flower. The conservatory features five different galleries to explore: Aquatic Plants, Highland Tropics, Lowland Tropics, Potted Plants, and the West Gallery, each with a variety of rare, remarkable, and frequently endangered plants. In addition to the galleries, the Conservatory hosts a variety of changing exhibits and events. As a special treat for Valentine’s Day, come out for their latest exhibit, “Aphrodisiacs for the Tropics”, where you and your special someone can take a trip to the rain forest to view “aphrodisiac” plants on February 14. Browse the Conservatory galleries as you nibble on chocolate and sip a complimentary libation. Also included are tarot readings, a Victorian pink velvet photo booth, and a live accordion performance. A stunning view of a spectacular phenomenon can be seen here each December through February when magnificent gray whales pass by during their annual migration. One of the best views of this migration is from the Point Reyes National Seashore, when about 90 percent of the whales will pass within a mile of the Point Reyes peninsula. January is one of the optimal viewing months, as it is estimated that approximately 1,000 of these cetaceans pass through this area each day. Point Reyes offers one of the best views on the coast, but direct access is restricted during the migration. The best option for whale watchers here is to board the frequent shuttles in the parking lot – shuttle drivers will then convey them to any drop-off point they wish. For a much closer look, book a seat on one of the cruise boats. These run through the season, which usually ends in early spring. 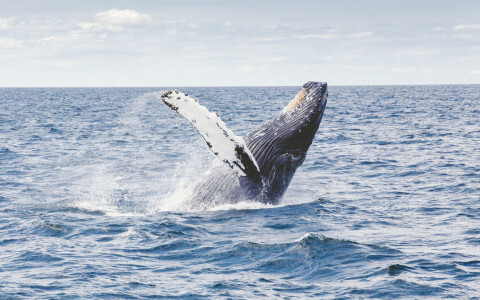 No matter which whale-watching option you choose, remember to wear sturdy shoes, bring nutritious snacks, plenty of water, and to dress warmly for the duration. You may also want to pack your camera and/or binoculars. Happy whale watching! This December, treat yourself to some of the city’s finest festive events, several of which are listed here. First, check out the Lighted Boat Parade on December 14 on San Francisco Bay. Sponsored by the Fisherman's Wharf Community Benefit District and the St. Francis Yacht Club, this is one of the biggest and oldest such parades. Next, don’t miss the A.C.T.’s Geary Theater production of “A Christmas Carol.” Showing through December 29, this will be the 42nd year A.C.T. will perform their version of Dickens’ beloved holiday classic. Another holiday traditional favorite is the December 14 performance of Handel’s Messiah, sung by the stellar members of the Grammy Award-winning San Francisco Symphony Chorus and its world-class soloists. Also, don’t miss ’Twas the Night - A Festival of Carols, which features the SF Symphony’s brass section and chorus on December 23. Both concerts will be performed at Davies Symphony Hall. Lastly, be sure to catch one, or all, of these direct-from-Broadway hits: “A Bronx Tale,” showing at the Golden Gate Theatre through December 23, “Dear Evan Hansen,” showing at the Curran Theatre through December 30, and “Mary Poppins,” showing at the San Francisco Playhouse through January 12, 2019. San Francisco is chock-full of wonderful events to help you kick off the holiday season, and three of our favorites are listed here. First, join us at the San Francisco Opera for their inaugural presentation of “It’s a Wonderful Life” on November 17. Showing through December 9, the West Coast premiere of this beloved holiday classic is based on the Frank Capra film and features music by Jake Heggie. Next, don’t miss a visit to the Cow Palace Exhibition Halls November 17- December 23 for a real Victorian Christmas. The 36th Annual Great Dickens Christmas Fair and Holiday Party will take you back in time to a London lit with lamplight and full of pubs, theaters, and dance parties. Hundreds of colorful, costumed characters will make merry as they recreate a true Dickensian Christmas. Lastly, don’t leave without a visit to PIER 39’s Winter Wine Pour on November 30. Toast the holiday season with award-winning wines from the Livermore Valley, as you stroll along the pier and enjoy our 60-foot tree. A part of the proceeds will benefit Aquarium of the Bay’s free conservation education program for Bay Area children. Whitey Bulger, Machine Gun Kelly, and the banjo-playing Al “Scarface” Capone were all convicted and sent to Alcatraz, along with thousands of others. “The Rock” had a bad rep from the beginning, with reports of inmates killed in fights, by committing suicide, shot trying to escape, and some mysterious deaths that were never explained. Tales of the sadistic mistreatment of inmates, particularly in Cell Block D, abounded, and it’s famous for being the most haunted block there. Prisoners described being left in dank cells without human contact, sound, or light, sometimes for weeks at a time. It’s no wonder the former prison now has a different kind of reputation – one that sends chills down the backs of both casual visitors and hardened ghost hunters. Feelings of dread and icy cold, hollow footsteps, rattling chains, ghostly gunshots, and blood-curdling screams are only a small sample of the “hauntings” experienced on tours of the prison. One prison guard even reported hearing a banjo playing in the shower, which was the only place Capone would play. To experience Alcatraz for yourself, check out the tour companies that offer day or night tours. The San Francisco Chronicle is proud to present the San Francisco Opera’s presentation of Opera in the Park on September 9 at the Robin Williams Meadow in Golden Gate Park. In celebration of the opening of the Opera’s 96th season, “Arias al Fresco” will feature a magnificent afternoon of opera, accompanied by the San Francisco Opera Orchestra and sung by many of the company’s stars from the new fall season. This annual free concert is usually attended by tens of thousands of opera lovers and general spectators. Some of the musical selections for this performance will be a sampling from the new season’s operas, which will include Puccini’s “Tosca,” Donizetti’s “Roberto Devereaux,” Bizet’s “Carmen,” Handel’s “Orlando,” and Dvorak’s “Rusalka.” A new opera by composer Jake Heggie and librettist Gene Scheer, “It’s a Wonderful Life,” is based on the popular movie, and will be performed just in time for the holidays. For more information, or to purchase tickets, click here. Trade in your four wheels for two and experience San Francisco from a different point-of-view. Take advantage of our complimentary bicycles and hit the streets in style. We like to provide eco-friendly alternatives for our guests and being green is easy when there are landscapes like these just waiting to discover. San Fran is one of the most bike-friendly cities on the West Coast. We suggest exploring the Golden Gate bridge on your way to Sausalito for breathtaking sights or staying local and riding through the jeweled toned hills of charming San Fran neighborhoods. For over 500 miles of trails, opt for the San Francisco Bay Trail or try Bicycle Boulevard to experience excellent bike lanes. Oakland Hills provides a scenic route, or Hawk Hill has picture-perfect views of the Golden Gate Bridge. Be creative and enjoy the journey. Traveling should set your soul on fire. Time to start your fun adventures by snagging a bicycle from downstairs. Take advantage of the warmer temperatures to cool off with homemade ice cream from any of these delightful parlors. Swensen’s Ice Cream, 1999 Hyde St. Step back in time at this old-school ice cream shop. Treat your loved ones to a massive classic sundae or feel decadent with flavors like sticky chewy chocolate and Turkish coffee. Salt & Straw, 2201 Fillmore St. Surprise your taste buds with innovative flavors such as green apple mayo sherbert and peach vinegar cobble with toasted nutmeg. Sounds more like a meal than a creamy treat? Wait till you taste them. Is the ice cream worth the wait? Absolutely. We can’t get enough of their delicious small-batch, seasonal, local, and organic scoops. Flavors like honey lavender and salted caramel are a foodies dream. All of the ice creams are made with organic eggs, milk, and cream from local Straus Family Creamery. Make the most of your time in San Francisco by spending the day at Treasure Island. Hours from Napa and Sonoma is the heart of the urban winery movement, with seven different tasting rooms all within walking distance of each other. However, don’t expect the picturesque country scenery of those mentioned above, these wineries are rustic and housed in repurposed WWII submarine training vessels such as Sottomarino or former Navy prison cells like Fat Grape Winery. However, the unique and charming environments are what keeps wine aficionados coming back for more. For instance, Sol Rouge and Vie both have bocce courts with sweeping view of the San Francisco skyline, something you would never see from the rolling hills of St. Helena. Our favorite is The Winery, which holds dozens of award and houses a vast array of wines, ranging from Chardonnay to Tempranillo. The diverse selection of Northern California vintages guarantees there is something for everyone. However, if you are craving a beer, pop over to Woods Island Club for a makeshift beach, and craft brews served inside a vintage airplane hangar. Heading to San Francisco this summer? You’re in luck! This June, the 36th San Francisco Jazz Festival will take over, featuring dozens of celebrated jazz greats. From June 6 to June 17, head to the SFJazz Center, the city’s 36,000-square-foot, $64-million-dollar center at Fell and Franklin streets, to enjoy afternoon and evenings of live musical performances. While you’re in the heart of San Francisco’s cultural corridor, be sure to check out the second floor and the famous tiled murals by Sandow Birk and Elyse Pignolet. Our favorite, “Jazz and the City,” represents the story of our city’s famous music clubs, including Jimbo’s Bop City and the Keystone Korner. A few not-to-miss shows during the San Francisco Jazz Festival on our list include John Brother’s Piano Co., Lea Delaria, Amadou & Mariam, Marcus Miller and Kendrick Scott Oracle. Purchase your San Francisco Jazz Festival tickets here. Love to travel? How about traveling and making a positive impact on the environment at the same time? We are dedicated to being a good neighbor and providing a sustainability program that allows our guests to embark on feel good travel. While Earth Day is just around the corner later this month, our green policies and practices are year-round and are key to a number of ways we do business as a sophisticated hotel destination. We have been awarded with “Green Leader Gold” status by TripAdvisor and certified by the City and County of San Francisco for having complied with the San Francisco Green Business Program standards. We invite all of our guests to join us in our mission to lessen our footprint thanks to a number of simple program offerings, including in-room recycling bins, option to reuse towels, and utilize public transportation or our complimentary bikes. And, we recycle all electronic equipment, use certified green cleaning products, purchase 10% of energy from renewable sources, offer water-saving aerators in each shower, donate left-behind items to the local St. Anthony Foundation, and use as many locally-certified ingredients and products as possible. Learn more about our green efforts here and feel good when you travel. Here’s to being green! Did you know the San Francisco Ballet is the oldest company in the United states? Established in 1933, the prestigious ballet company brought the internationally-recognized Nutcracker to an American audience on Christmas Eve in 1944. Performed at the War Memorial Opera House, the San Francisco Ballet turned this traditional show into one of the company’s most popular performances. Still today, the company performs the Nutcracker every December. Luckily, you don’t have to limit your San Francisco Ballet experience to the 12th month of the year. The typical season runs from January through May, offering a number of performances ranging from Frankenstein to Robbins – Ballet & Broadway. Insider’s tip: make it a full night or day at the ballet and start with dinner or Sunday brunch at the iconic War Memorial Opera House. The elegant spread is offered two hours prior to show time and features a number of gourmet culinary options for any palette. Ready for the stage curtains to open? See our current offers and visit us before the ballet season ends in May. There are so many reason why we love San Francisco and the Chinese New Year is one of them! Starting February 10th through March 4th, the city celebrates the Chinese New Year with a number of festivities that pay homage to our city’s vibrant culture. Help us usher in the Year of the Dog this year with a number of not-to-be-missed activities, including the Chinese New Year Flower Fair (2/10-2/11), the Chinatown Community Street Fair (2/24-2/25) and of course, the Chinese New Year’s iconic parade on Saturday, February 24th. Named as one of the top ten Parades in the world by International Festivals & Events Association, the night illuminated parade is the biggest celebration of the lunar new year outside of Asia. Are you excited yet? A collection of gorgeous floats, costumes, firecrackers and the crowd favorite, the Golden Drago know as “Gum Lung” will take to the streets. Not felling up to the crowds? Take in all the action from the comfort of your guest room and tune in to KTVU Fox 2 or KTSF 26 at 6 p.m. on the 24th. Inspired by the Chinese New Year? Check out our current specials and offerings and make the last-minute to be part of this special celebration. Take romance to new heights in 2018 with an experience that makes you an honorary private mansion owner atop the Bay Area’s most exclusive neighborhood. Book the Pacific Heights Romance Package and enjoy a half bottle of Schramsburg Sparkling Wine to toast to the occasion, a box of confections by local chocolatier Jenner Ashby, a romantic silk rose-petal turndown service, and a much-needed guaranteed late check-out time. 1. Sit down for a picnic at Crissy Field, one of the area’s most expansive spaces of green with a gorgeous view. Bring a cozy blanket and basket filled with local goodies and you can even bring your pooch (if your pup made the trip). 2. Get artsy and spend the afternoon at the Palace of Fine Arts. Known for its welcoming and show-stopping rotunda and collection of fountains surrounding the iconic lagoon, it’s the perfect backdrop for romantic selfies. 3. Take a page from Shakespeare himself and walk amongst a Garden of Shakespeare’s Flowers. Get lost with your beloved as you walk along a perfectly-laid path adorned with blooms. Book your romantic weekend getaway now. A picture says a thousand words and we’ve got the top three Instagram-able spots around town. Head out on an adventure to one of these destinations for unparalleled Bay Area views. The only other decision you’ll have to make is which filter to use, but, if you ask us, these views are so stellar that a filter may not even be required. Grandview Park – Give your glutes a little work out and head up the steps of 16th Ave. (Yes, the mosaic tiles are amazing!) Check the weather for fog before you go (clear days are best) and you’ll take in a three-for-one deal: the Golden Gate Bridge, the Pacific Ocean and Golden Gate Park. Ina Coolbrith Park – The namesake park of the state’s first poet, this under-the-radar spot is home to a variety of florals and provides sweeping views of Coit Tower, “The Pyramid,” and San Fran’s signature skyline. Tank Hill – Go north of the more widely-known Twin Peaks by less than a mile and find yourself in what we call a “boutique” park, offering larger-than-life views for you to admire. You might not even find this one on the map, but just ask our team and we’ll be happy to help point you in the right direction. Reserve your bike package HERE! The key to great improv is to always say yes, and the Secret Improv Society is sure to make its audience members say, “Yes!” San Francisco is chock-full of improv but the not-so-secret Secret Improv Society stands out amongst the rest. World-class improvers transform the space from a theatre into a laugh haven. Housed in the Shelton Theater, the Secret Improv Society brings the funny every Friday and Saturday night at 10 p.m. With an open bar and tickets starting at just $17, the Secret Improv Society is a treat you should tell all your friends about. Come to watch or try your hand at performance. Be the brave soul that steps onto the stage from the audience and ignites the room with laughter. With audience contribution, there’s no such thing as writer's block or actor’s block for that matter. Fill you vacation with laughs at the Secret Comedy Society at the Shelton Theatre. Getting healthy can be a challenge, and staying active and healthy while on vacation is even harder. However, while you’re on vacation in San Francisco, their National Park Society has got you covered. Healthy Parks, Healthy People is a recurring National Park Society event that takes place the first Saturday of every month from 2pm to 4pm. As you work your way to a healthier lifestyle, there’s no need to put things on hold while on vacation. The program series includes the following programs which will alternate each month: Hiking for Heartbeats, Ecotherapy, Family Fun Fitness, and Family Boot Camp. Healthy Parks Healthy People is a program designed to help you get ready and stay ready for a healthy life even when you're away from home. The recurring event is free for all who want to join in, and it's kid-friendly, just in case you want to make this an outing for the entire family. Meet in front of the Presidio Visitor Center, wear comfortable exercise clothing and shoes, and get ready to sweat! Take in beautiful ocean views while hiking at San Francisco’s Batteries to Bluffs Trail. Just a short 10 minute drive from Hotel Drisco, the Batteries to Bluffs Trail wows its hikers with wondrous views of the Pacific. Enjoy the peace of the crashing waves as you climb the stairs of your hike to breathtaking views of the Golden Gate Bridge and the Marin headlands. There are a number of off-shoots to the trail, including the romantically quite Marshall Beach, a perfect place to take in the beautiful ocean with your significant other, family or friends. If you’re lucky enough, you may even get to see a dolphin or two. The Batteries to Bluff Trail is sure to woo you and give you a great workout in the process. The 16th Avenue Tiled Steps started as a neighborhood project of creating “a sea to stars themed mosaic flowing up a 163-step stairway.” Now, 14 years later, the wonderfully crafted stairs in the Golden Gate Heights neighborhood serves as a free local landmark for all to see. The members of the community definitely accomplished their mission of beautifying Golden Gate Heights with the luminescent walk up in the center of their community. “Stairs to Heaven” perfectly describes the handmade named tiles that lead up to a breath taking view of San Francisco. Whether you’re hiking the steps for a morning workout or sightseeing with your travel buddies the 16th Avenue Tiled Steps are sure to be a wonderful addition to your itinerary. Park at the bottom of the steps, take in the beauty of the carefully crafted stairs, and snap a photo for all your friends to see. Because trust us, they will wish that they were there! Did you grow up watching DJ Tanner navigate through life with her insanely cute younger sisters on Full House? Or maybe you’ve binged watched that same DJ Tanner return to her childhood home as a single mother on Fuller House. Whether you’re hip to the Full House Franchise that introduced the world to Mary Kate and Ashley Olsen or an appreciator of San Francisco’s signature Victorian homes, 1709 Broderick Street is the place to visit. The home at 1709 Broderick Street is the very home filmed in the opening sequence of Full House. Take pictures in front of the home; create your very own opening sequence to Jesse Frederick’s “Everywhere you look”, and then head over to Alamo Park for a picnic. Relive your childhood on a nice day adventure to 1709 Broderick Street! Full House is a popular family sitcom that aired on primetime TV from 1987 to 1995. Fuller House, its spinoff, can be found on Netflix.